While the Church itself does not have an official position on Book of Mormon geography, individual members and leaders of the Church have explored this matter in their own study and have offered various thoughts about where Book of Mormon events may have transpired. Reid Moon, proprietor of Moon’s Rare Books, recently sat down with Book of Mormon Central to discuss pieces in his collection which shed light on how past prophets have taken an interest in Book of Mormon geography. 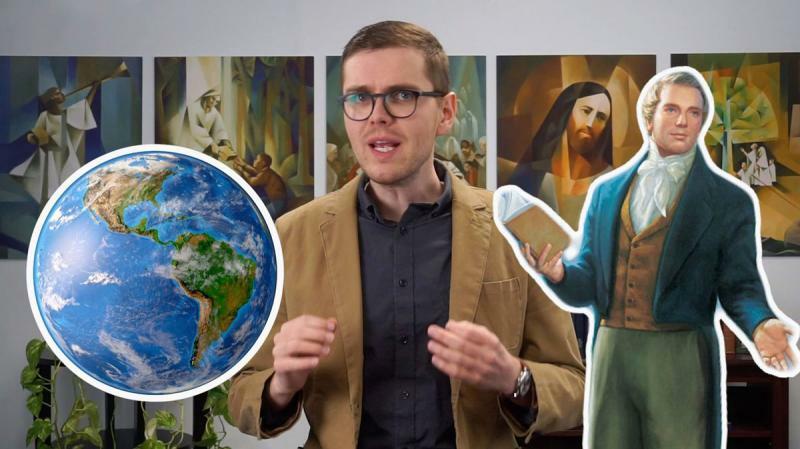 As shown in this video, individual readers of the Book of Mormon can look to past and current General Authorities of the Church as examples in their own studies. Without elevating any one particular Book of Mormon geography theory as solely authoritative or divinely revealed, readers can faithfully seek further light and knowledge on this subject “by study and also by faith” (D&C 88:118). The Bernhisel letter has been shown not to have been written by Joseph Smith and the articles in the times and season where signed NA. I have read the Book of Mormon many times in it it tell us where the Promised land is. The Jaredite and the Nephites told us that the New Jerusalem was to be built on the Promised Land. Joseph Smith was told where the New Jerusalem was to be built. It's pretty obvious where the Promised Land is when the Book of Mormon tell us that the Gentiles would upton that same land and that it would be a Land of Liberty. Also it would be a Nation above all other Nations. Christ being the God of that land. There is only one Hill Cumorah! The Times and Seasons articles were written by Benjamin Winchester and printed by William Smith who was acting as editor. Joseph Smith knew exactly where the Book of Mormon took place, there was no confusion.